world, wish Mr. Carter great success in his future endeavors. with the responsibility to drive global sales and Corporate growth. Mr.
nearly 50 countries worldwide. 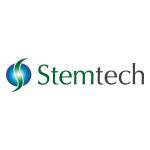 For more information, please visit www.stemtech.com.